The Heard Museum requests your help in identifying the people, places, and activities in photographs from the Phoenix Indian School. 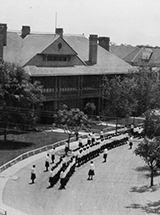 The photographs cover several decades from the school’s history. If you are able to provide any information on the photos, please click on the word “COMMENTS” located at the bottom of the record for each photograph to share your information. Collection RC5 consists of approximately 170 photographic prints. 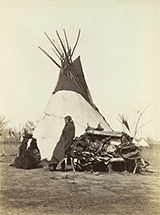 Most are formal, posed portraits of Native Americans in Indian Territory (Oklahoma). Most photographs are identified by name of individual and tribe. Also some photographs of camp scenes, agency buildings, dwellings of officers’ families, trading posts, and boarding schools. Most photographs are by either William S. Soule or Cossand & Mosser. 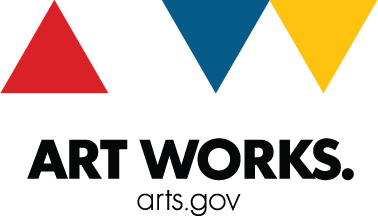 This project generously funded by the National Endowment for the Arts. All requests to reproduce materials from the Library and Archives’ holdings require a completed Request for Reproductions/Application for Permission to Publish Form. The applicant agrees to abide by all terms, conditions and provisions of this agreement.